Join us in our mission to purchase a Lodge and restore Zeta Delta’s place atop the University of Illinois campus and in the Chi Psi community. Pay your annual dues ($55) or make a donation through our secure online form. Read the official newsletter for alumni of Alpha Zeta Delta. Follow the link below to sign up to be a mentor or mentee. Are you a Chi Psi? Do you live int he South suburbs? Are you interested in the Zeta Delta Lodge Campaign? Do you enjoy drinking a beverage or two on the weekends? If so, have we got the deal for you! As you know, the annual meeting of The Corporation of Alpha Zeta Delta of Chi Psi is held at Homecoming every year. This year’s meeting will be called to order at 10:00 a.m. on Saturday, October 13, 2018. The location of the meeting will be the Zeta Delta Lodge located at 606 West Ohio Street, Urbana, IL. An Initiation Banquet will be held at around 12:00 noon on Saturday afternoon, following by a regular meeting of the alumni corporation’s board of directors. Matthew Hess, ZΔ `00, is originally from the South side of Chicago but now lives in Wheeling with his girlfriend, Laura. 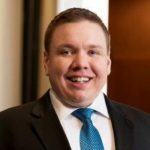 He is an attorney focusing in the areas of estate planning, probate, litigation involving contested estates and trust disputes, and small business services, as owner of Hess Law Firm, LLC, located in Park Ridge, Illinois. Matt, a/k/a “Meathouse,” double-majored in Political Science and Finance as an undergraduate at the University of Illinois. He attended Chicago-Kent College of Law after graduation, obtaining his J.D. in 2003. Following law school, Matt worked as a litigation attorney, almost exclusively handling medical malpractice cases involving catastrophic injuries, representing both injured plaintiffs as well as defendant physicians and hospitals. He left the law firm life in 2016 to open his own practice. 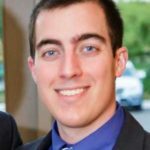 He is the author and administrator of ContestedEstates.com, a law blog dedicated to will contests and other disputes among heirs and beneficiaries. Matt is a die-hard White Sox, Bears and Illini fan, and is also a horse racing enthusiast and handicapper. He is a poor golfer but excels at driving the cart, and he travels to Hawaii with his girlfriend, Lady Meathouse, every chance he gets. As an undergraduate, Matt served as scholarship chair, #4, #1 and pledge educator. He served on the Board as Vice-President immediately upon graduation and has served in various capacities since then, including Trustee and Secretary. He was elected to succeed Randy Mason as President in October, 2017. Cameron Wall, ZΔ `11, currently lives on the north side of Chicago with his girlfriend, Lindsey. He is a litigation attorney employed by the law firm of Kralovec & Marquard, Chartered. 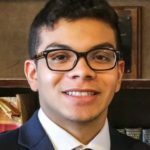 After graduating from the University of Illinois with a Bachelor’s Degree in Political Science and Religious Studies in 2011, he remained in Champaign-Urbana for Law School. 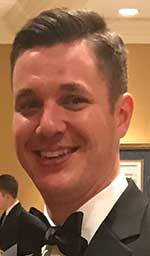 He graduated from the University of Illinois College of Law in 2014, and spent two years at a law firm in the Western suburbs before joining his current firm. He enjoys golfing, watching the disappointing Illini athletic teams, and listening to Jimmy Buffett in his spare time. As an undergraduate, Cameron served as philanthropy chair, recruitment chair, pledge educator, #2, #5 and #1. He was elected Secretary of the Alumni Corporation in 2011. Following two years as Secretary, Cameron was elected Vice-President in 2013. He has held that position ever since and also serves as the chairman of the Alpha Relations committee. These are the secretary’s responsibilities. Chris Silchuck, ZΔ `13, grew up in Mount Prospect and currently lives in Chicago. He works as an Associate Financial Representative and Paraplanner in the Financial Planning Department at Northwestern Mutual in Skokie. After graduating from the University of Illinois with a Bachelor’s Degree in Economics and Minors in Business and Communications, he began his career at Northwestern Mutual in the financial services industry. 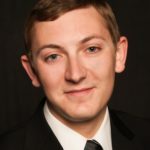 Chris started in the Schaumburg office, where he had interned during his senior year of college, and worked there for three years before moving to the Skokie office. 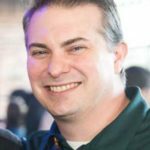 While working in Schaumburg, he returned to school part time to earn his Professional Accounting Certificate from Harper College. When he is not working or studying for school/work related exams, he enjoys going to concerts, traveling, spending time with family and friends, and going to sporting events. He is a big fan of the White Sox, Bulls, Bears, Blackhawks, and of course the Illini. As an undergraduate in the Lodge, he served as historian, #4.5, #4 (for two years), and #5. He began on the Board in 2014 as a trustee before being elected to serve as the treasurer in 2016. Jeremy Doser lives in New Lenox, Illinois with his wife Shannon and their two children, Sean and Maggie. He’s an airline pilot for United Airlines – currently a captain on the Boeing 737, based at O’Hare Airport. Jeremy started at the University of Illinois in 1989 with the intention of becoming a veterinarian. After three semesters studying Animal Science he decided it wasn’t for him and began taking flight classes through the Institute of Aviation. He graduated with a major in Leisure Studies (since renamed to Recreation Management). With a solid grasp of flying airplanes and how to properly spend his leisure time, he moved to Brownsville, Texas to become a flight instructor in order to build the flight time needed to become an airline pilot. After a little over a year of instructing he was hired by Continental Express airlines in March 1997. He flew an ATR-42 turboprop and an Embraer-145 regional jet at Continental Express until getting hired at Continental Airlines in 2005. At Continental he flew the Boeing 757 and 767 out of Newark for 7 years, flying mostly trips to Europe. As a result of Continental’s merger with United he was able to switch bases to Chicago O’Hare and began flying the Boeing 737 in 2012, upgrading to captain in 2013. When he’s not flying he likes to exercise, spend time with his family, and play video games. He tries to do a triathlon every year in addition to the occasional running race. Jeremy joined the Lodge late in his college career, and served as rush chair, social chair and #5. He has served multiple two-year terms as a trustee on the Board dating back to 1999, and currently serves as a trustee today. Jeremy has played an important role on the board over the years, organizing and running various alumni events, including alumni-active softball games, family picnics and other and alumni outings. Paul Parks lives in Peoria, Illinois with his wife of 9 years, Jamie, his daughter, Madeline, his son, Preston, and the real man of the house, his dog Homer, 20 pounds of American Eskimo furry. He has enjoyed a successful career in law enforcement for the past 13 years. After graduating from the University of Illinois in 2003, he spent just shy of a year working downtown Chicago as a bank teller, and a few months as a teacher’s assistant at his old high school, Lyons Township High School in LaGrange, Illinois, until he started at the Chicago Police Academy on January 3, 2005. When he’s not working, he spends the majority of his time playing with Barbie’s and gluing together things his son has broken. To keep sane, he feeds his competitive edge by competing in Triathlons, and vacationing at his family’s cabin near Traverse City, Michigan. As an undergraduate in the Lodge, he served as rush chairman, social chairman, pledge educator, and #2. From 2005 – 2012, he proudly served as the Vice-President of the AZD Alumni Corporation Board. After a short hiatus, he’s honored to serve as a trustee and as Chairman of the Fundraising Committee. Paden Thomas currently lives in Chicago, but grew up in Lexington, Illinois. He is a Financial Analyst for a local beverage distributor specializing in accounts receivable for suppliers. He started his career with Wirtz Beverage Illinois after graduating in 2014. Paden moved to Chicago in 2016 and has been in the beverage industry ever since. He enjoys weightlifting, fishing, hunting, hockey and reading in his spare time. While he was an undergraduate, Paden was the Kitchen Steward, Lodge Manager, #1 and Scholarship Chair. Notably, he led the Alpha as #1 when Zeta Delta hosted the 171st Annual Convention. 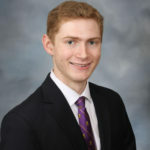 He has served as a Trustee on the Board since graduation, and currently fills the role of Chairman of the Property/Risk Management Committee, a role in which he is tasked with assisting the undergraduates with maintaining and improving the current Lodge. Tommy Herrell is a freshman who was born and raised in Orlando, Florida. He’s majoring in Computer Science but is currently undecided on his area of specialization and what he wants to do after graduation. Some of his interests include lacrosse and competitive programming, both of which he participated in throughout high school. Her serving as caption of his lacrosse team for a year as well as president of the programming club. Randy Mason lives in Frankfort, IL with his wife, Becky, his 10-year old son Sam, and his 8-year old daughter Sophia. He is currently the Director of Strategic Sourcing for Voestalpine Nortrak Inc, a company that supplies turnout systems and track materials to the railroad industry. He leads his company’s procurement organization and is part of a committee that oversees North American procurement for all the companies owned by their parent company, Voestalpine AG. 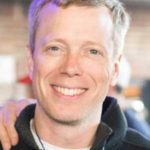 He graduated from UIUC with a BS in Mechanical Engineering in 1996 and went to work as a Product Development Engineer for the company he spent two summers interning with, Cummins Engine Co., in Columbus, Indiana. In 2003, he earned his MBA from Indiana University’s Kelley School of Business and moved into global sourcing. In 2004, he took a job with automotive company, BorgWarner, managing the sourcing organization for two plants in the Chicago suburbs. He then moved to his current job in 2010. These days, he spends most of my spare time following his kids around to Taekwondo tournaments, swim meets, and practices. He is a big fan of the Denver Broncos, hiking, ATV riding, movies and craft beer. As an undergrad, he held various positions in the Lodge including #1, #2 and #3. He joined the Board immediately after graduating in 1996 and, except for a break between 2001-2003 while getting his MBA, he has been on the Board ever since. He has served as a Trustee, Secretary, Treasurer, President (2006-2017) and is currently the ex-officio member of the Board as the immediate past-president. Josh Samson was born in Virginia and moved to Mount Prospect at the age of three. 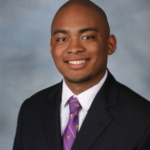 He currently serves as the #1 and had previously served the Alpha as Risk Manager and Alumni Relations Chair. Josh is majoring in Community Health with a concentration of health administration. He plans on becoming a health administer in a clinic or hospital. Some hobbies and interests he has include the University of Illinois’ boxing club. He also spends time working on his jiu-jitsu and judo. He has a strong passion for the sport of MMA. He is constantly following the UFC or anything related to MMA. Romeo Basa-Denis is originally from in Mundelein, Illinois, but he spent the first few years of his life growing up in the Philippines. After coming back to the United States, he eventually graduated from Warren Township High School in Gurnee, Illinois. He previously served the Alpha as the Fundraising Chairman and the #3 before being recently elected #2. He’s studying Geography with a concentration in Geographic Information Sciences. Within the next two semesters he plans on declaring a second major in ESE (Earth, Society, and Environmental Sustainability). He works at Campus Recreation as a Facility Assistant at ARC and CRCE, and enjoys watching movies or listening to music in his free time to relax. He also likes to work out most days so he can stay in shape.